There's a lot to love about risotto. One of them is that you get to put just about whatever you want in it -- including butternut squash. 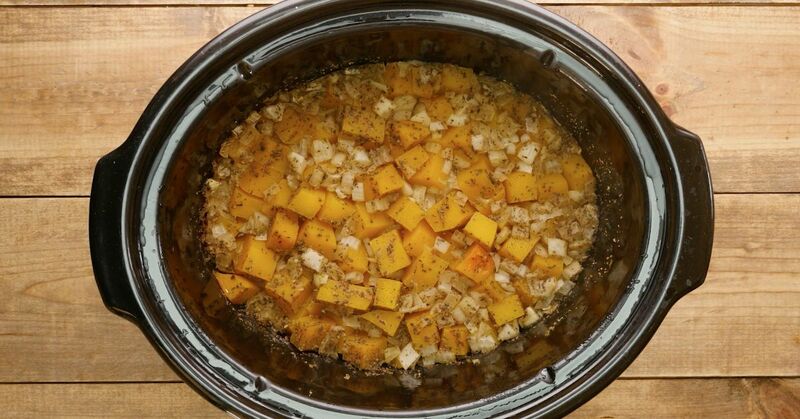 When you cook it in the slow cooker, as in the recipe that follows, the squash becomes super tender, perfectly complementing the tender rice. Many cheeses such as gorgonzola or creamy goat cheese go very well with butternut squash, so you can play around with those too. Don't stop at just switching up the different cheeses you use. Herbs like thyme and sage can be added, and you can bump up the veggie quotient too using something like asparagus or even kale. 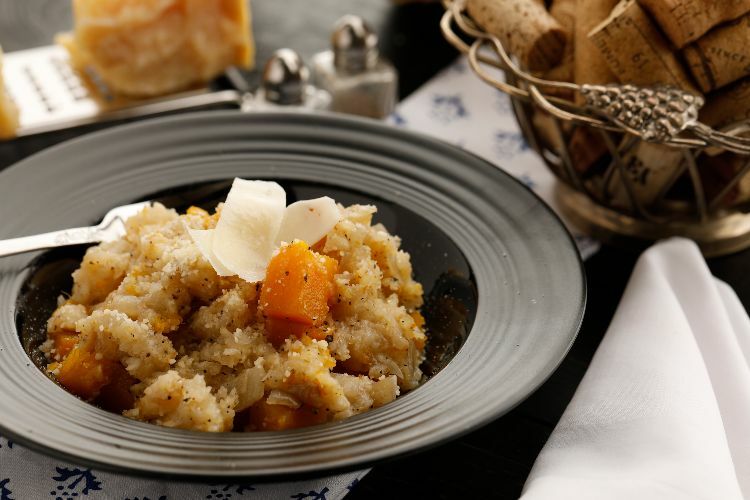 This basic butternut squash risotto is one to truly make your own and take wherever you want it to go! Add all ingredients expect the Parmesan cheese into a 6-quart slow cooker. Stir well to incorporate. Place lid on slow cooker and cook on high for 2 to 3 hours, until the rice and butternut squash are tender and most of the liquid has been absorbed. Remove lid and stir in Parmesan cheese.